A very challenging task can be the making of the perfect and healthy dessert for your family and your friends. Well there are some recipes for desserts, that can taste very good but still provide numerous health benefits for our body. The traditional brownies we know, usually are containing sugar which is processed, flour and pasteurized hormone filled dairy, mostly inflammatory ingredients that are harmful for our bodies. The traditional brownies also trigger your blood sugar, and the blood sugar spikes the insulin or fat storage and the cortisol or stress hormone, which then causes a great imbalance of hormones, mood issues and gaining extra weight. But we have prepared a recipe for you. 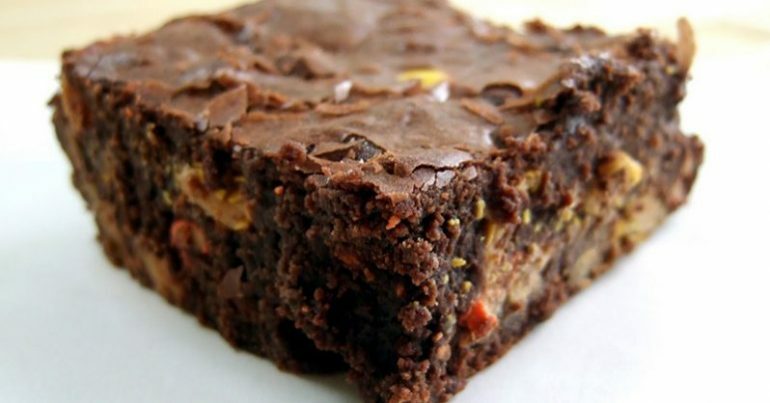 It is a recipe for brownie but it causes non of these negative effects on us, because it is made of natural products and even the pickiest eaters will love them, and will be surprised about what they’re made from. Avocados are the most nutrient and beneficial fruit on the entire planet. They contain loads of antioxidants, fat acids and amino acids, and all of these things are essential for our body. This is why the avocado is the super food that is used against the aging process by many people around the world. The avocados are rich with monounsaturated fat which is beneficial for the increasing the fat metabolism, and they are very rich with oleic acids which are very healthy. Also it contains huge amounts of vitamin E, and as well as strong carotenoid antioxidants like zeaxanthin and lutein. Oxidative stress is decreased by these antioxidants, also they are allowing for a healthy cellular environment. Other powerful components, include folate and ionic potassium. These components help in the process of the relieving from acidic wastes that can be accumulated in our bloodstream and our tissue, which means they are alkaline forming! 1. Before putting it inside, heat the oven to 325° F.
2. Line a regular sized pan with parchment paper of grease it with coconut oil. 3. Put all of the ingredients, except the chocolate chips in a blender, mix them all until they become one. 4. Then add the chocolate chips and stir slowly, when you’re done with that add it to the pan. 5. The mixture will be very sticky and thick, which is why you want to smooth the surface and edge the mixture to the corners nicely. Make it even in every place of the pan. 6. Bake it for 20 minutes, then you can remove it from the oven and let it cool down, then you can start with the slicing.